After my successful start to Christmas sewing, with my first teacher’s gift HERE, I moved right along to the next. But was a bit stumped on what to make! I quizzed my friend, and she suggested a satchel. Of course she did – cos she doesn’t sew! lol. Anyway, it WAS a great idea, so I scoured the web for a suitable pattern, and then decided on the Swoon Dorian. If I’m honest, I’ll tell you the photos of the finished products on the site did not leave me enthused. But I trust Melisa Jane and her bag instincts so much (Melisa suggested the pattern), that I jumped in and grabbed the pattern. And then had a heart attack. But soon recovered, put my big girl undies on, and got started! A few days later, I had a finished satchel! Isn’t he gorgeous?? 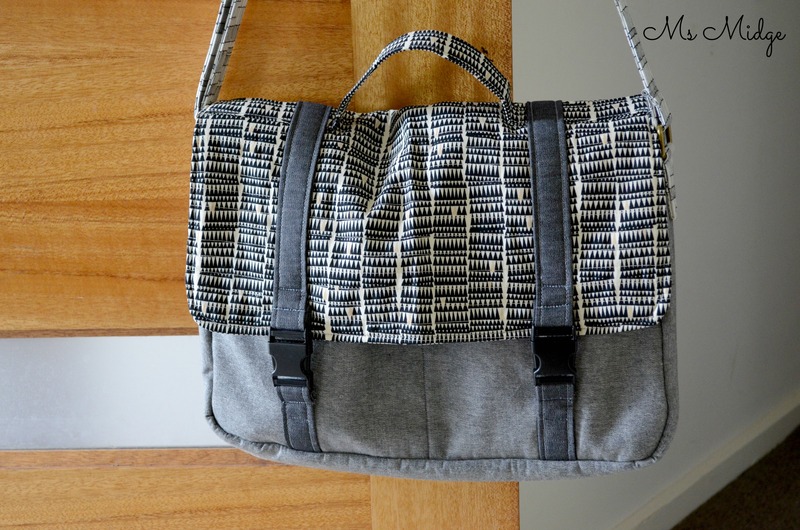 This fabulous bag is for a male teacher, hence the colour (or lack thereof) scheme. I freakin love these two Doe prints by Carolyn Friedlander, and paired it with a great black denim I found in Lincraft. A little tip for you when using denim – try using the “wrong” side of the denim. I was sharing this with my MQG friends on the weekend, and explained how the wrong side of denim gives you a completely different look! The straps there on the front of the bag are actually the “right” side of it! The Dorian includes pretty good instructions – I only had to scratch my head a couple of times! It has pockets on the front, and there’s a zippered pocket on the back. It’s actually the perfect size for a 13″ laptop, but I decided to upsize it a little, which gave me a little headache when I panicked thinking my straps would be too short! Turns out, they were fine. I also chose not to purchase the fusible fleece (cos I’m tight) and used batting I already had floating around here at home. Although it saved me dollars, it didn’t save me any time! I had to quilt all of the outside pieces to attach the batting – which I did using a straight stitch about 3/4 of an inch apart. 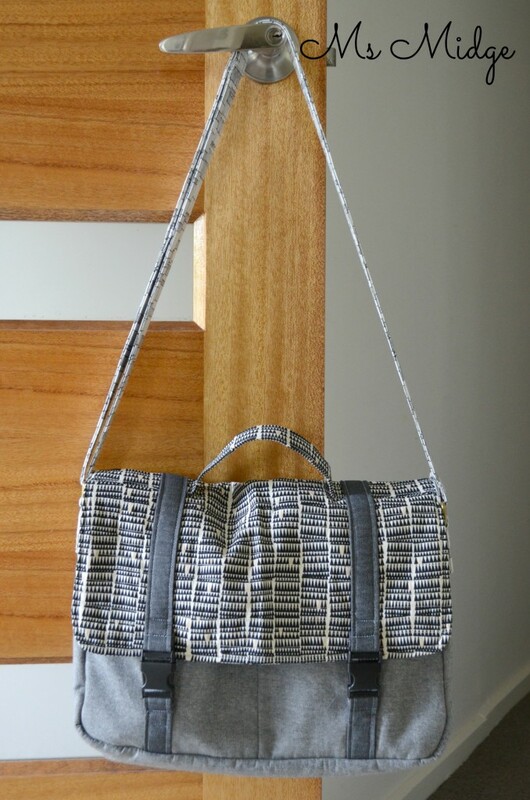 You can’t see it in the photos, but it really gives a lovely texture to the bag. All in all – I’m super happy with how this baby turned out! And I’m hoping the teacher it’s intended for is too. I have one teacher left to make for! Wish me luck…..
A beautiful teacher gift! 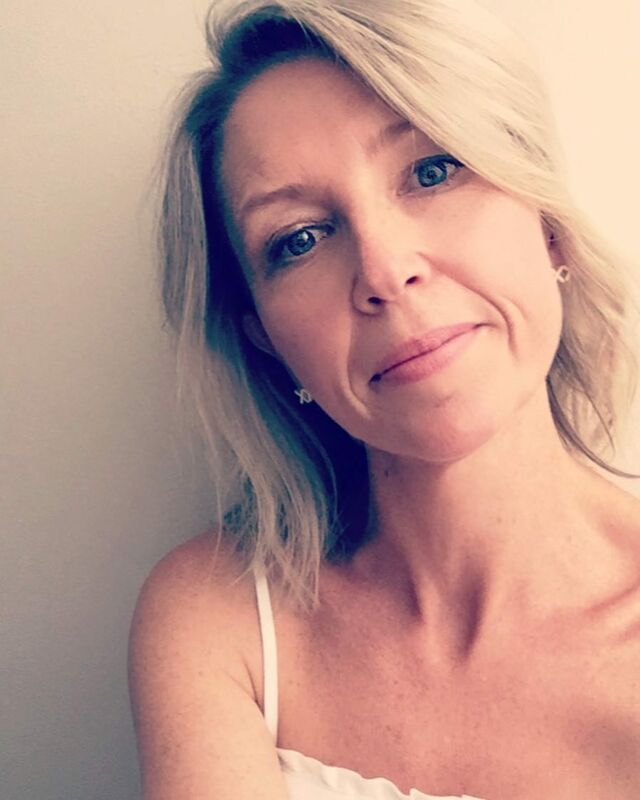 I’m teaching at the wrong school by the looks of all the wonderful teacher presents I’m seeing on IG and blogs! How can you possibly give this away! You don’t need luck for the second gift! You have this gift making and giving nailed! Wow! Look at you go! I’m on the cusp of starting seeing for teachers gifts – it will be my first year doing it and I’m waivering at the thought of having to do it every year once I start – eep! This is fabulous Ms Midge! Being kidless, I’m scratching my head with all these amazing teacher gifts I’m seeing on IG, thinking “whatever happened to an apple?”. But even “apples” have been upgraded I suppose! Thanks Alison. I think the wonderful part about being creative is being able to use that skill to make others happy – and I love the fact I can make my kid’s teachers something. It used to be a little zippered pouch, but as my skills got better, I thought I’d like to give bigger and better things a crack! You made this?! Love it sick! Okay, honestly, I’ve never made a bag before, could I tackle this as my first without losing the rest of my hair?! 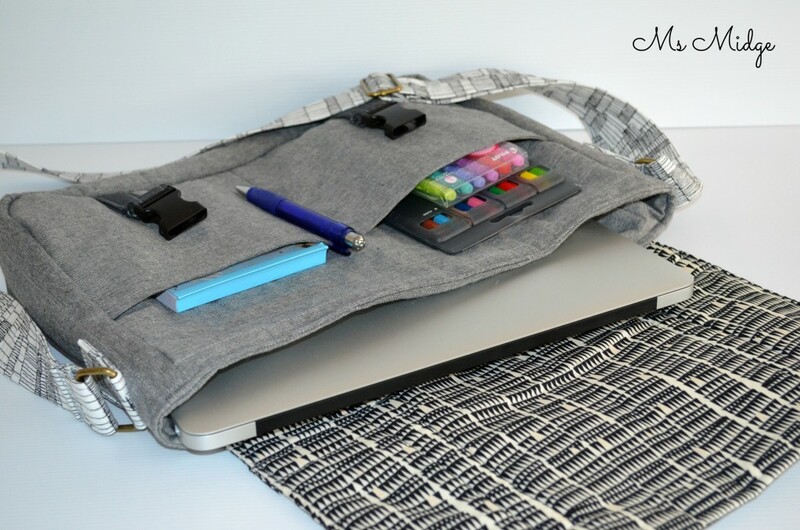 Wow, this is an amazing bag – but to make it for a teacher? You are all kinds of awesome. Really love it, I think I need to make one for my techy guys. Lucky teacher! That is a fabulous bag! Woah this is awesome! What a great tip to use the back of the denim it gives a great effect. I think your satchel came out just great! The male teacher will definitely be the talk of the teacher’s room. 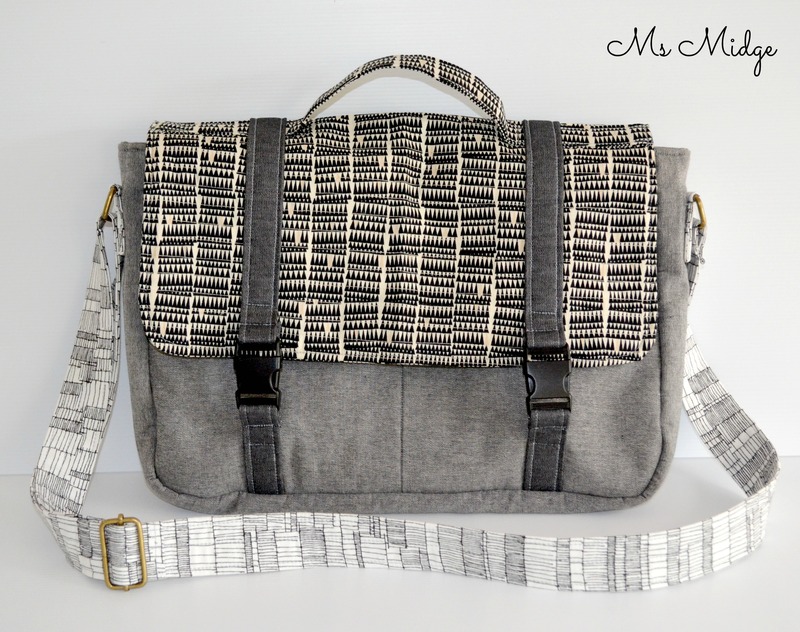 The male teacher is going to be the talk of the teacher’s room when he comes in with his new satchel. What a nice looking bag you made.